Linguist Noam Chomsky presents two very basic questions about language that are still open for debate. “Well, as in most sciences, especially the human sciences, almost every major question is open,” says noted linguist Noam Chomsky. He says that for all we think we know about human development of language, for example, there are still a couple of very basic questions we can’t definitively answer. 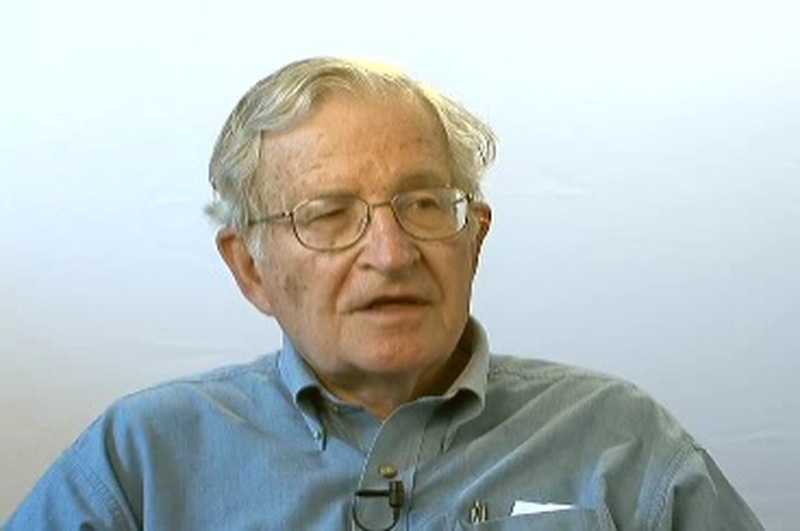 Chomsky says in the video that human speech began 100,000 or 200,000 years ago, and even that isn’t so clear. A recent study in PLAS ONE pushes the date way back, to 1.75 million years, and also offers a possible reason for its sudden emergence: The same physical development that led to using tools may be what enabled speech. The study by Natalie Thaïs Uomini and Georg Friedrich Meyer suggests that around the same time hominids began using tools, they found their (speaking) voice. fTCD brain imaging revealed that "common cerebral blood flow lateralization signatures" occurred in subjects’ brains during two previously unlinked activities: wielding an axe, and performing linguistic exercises. As far as the differences between languages, minor as Chomsky finds them, they may simply be the result of populations developing their own local variants in isolation from other groups developing their own combinations of the same hominid, and later human, sounds.